Safes :: EUROGRADE. 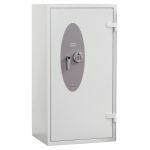 Safes manufactured to Eurograde standards. Home/Safes/EUROGRADE. 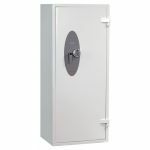 Safes manufactured to Eurograde standards. Safes within this section are all tested to European standards. 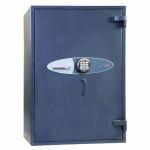 Consequently, insurance companies should offer you full cover for your chosen safe. The grades for cash holding are grade 0- £6,000, grade 1-£10,000, grade 2-£17,500, grade 3-£35,000, grade 4-£60,000 grade 5-£100,000. Higher grades are available also. Burglar resistant safes don't always offer fire protection, so if fire is a serious concern for you, make sure you check whether the safe offers fire protection as well. If you are unsure, drop us a line or give us a call.